"My condolences to Marge's daughter's Joleen and Tammy; and..."
"Tom Sorry to hear about your Mom knew her at beans great..."
"I am so sorry to hear about the passing of Marge. Please..."
"Joleen and family- So sorry to hear of the passing of your..."
"Please know that we're thinking of all of you. So sorry." 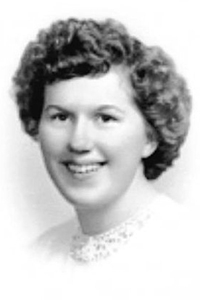 YARMOUTH - Marjorie Ellen (Seabury) Estabrook, 90, passed away at home on Feb. 1, 2019, having been surrounded by the love of her family, dear friends and caretakers.Marjorie (or "Marge" to friends, and "Gram" to family) was born on Dec. 19, 1928, to parents, Roscoe C. and Evelyn McKinnon Seabury of East Main Street in Yarmouth. The family soon moved to Bridge Street, where she spent her childhood. In 1947, Marjorie married Melvin A. Estabrook and settled on North Road, where they began a produce business and raised three children.In the 1970s, they moved to East Main Street and Melvin began growing flowers in addition to fresh produce. Supporting and working alongside Melvin, Marjorie helped create and foster what is now known as Estabrook's, a family owned and operated garden center that has endured for three generations. The business is their life's work and gift to their family.When it was necessary, Marjorie also worked as a skilled stitcher in various local shoe factories, including 15 years at L.L. Bean as a Bean Boot and product sample stitcher. She was proud of her work and she did it well.Marjorie died in her home on East Main Street, just a few doors down from where she was born, and on the premises of Estabrook's. She lived her entire life in the community that she loved and knew well.She will be remembered for her love of "a good car ride", her commitment to cooking for and feeding everyone she knew, her joy of giving during the holidays, her love of animals and her firm but loving resolve with friends and family.Marjorie was predeceased by her parents, Roscoe C. and Evelyn M. Seabury; her husband, Melvin A. Estabrook; and her sisters, Barbara Seabury Estabrook and Patricia Seabury Krieger.She is survived by her son, Thomas S. Estabrook and his wife, Alice Kelly Estabrook, their son, Thomas A. Estabrook and his wife, Sue Frost Estabrook, and their son, Andrew Estabrook and his wife, Kate Desiderio Estabrook, and their three sons, Jack, Will and Drew, all of Yarmouth; her daughter, Joleen Estabrook and her partner, Martin Perlmutter, her son, Jonathan Kinsman and his wife, Megan LaSalle Kinsman, and their sons, Jacob and Miles of Yarmouth, and her son, Michael Kinsman and his fiancé, Stephanie Miller of Seattle, Washington; her daughter, Tammy Estabrook and her husband, Edward Weagle and daughter, Emeline of Yarmouth; and Pablo, her beloved dog. She also leaves many nieces and nephews, cousins and friends who were a wonderful part of her life.The family wishes to express sincere gratitude to her caretakers at Falmouth by the Sea, Hospice of Southern Maine and to her special caretakers at home.Honoring Marjorie's wishes, there will be no visiting hours or services at this time. A graveside service will be planned later in the year.Memorial contributions may be made to:The Animal Refuge League217 Landing RoadWestbrook, ME 04092;The Press HeraldToy FundPO Box 7310Portland, ME 04112or to a charityof your choice.